We are a friendly, non elitist running club that places great emphasis on encouraging beginners, while also catering for improvers and experienced runners. This is achieved by offering an extensive range of weekly training to suit all. 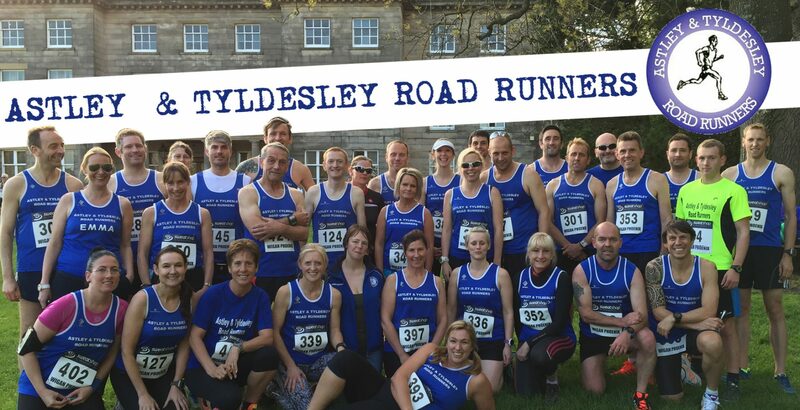 So whether you are a beginner inspired by watching the London Marathon, bored of running alone, or coming back from injury, experienced and looking for structured training, then Astley & Tyldesley Road Runners is the club for you. All of our training nights meet either at the Gin Pit Miners Welfare Club , Leigh Sports Village, the big car park opposite Atherton train station during the winter months or Bee Fold Lane, Atherton in the summer. See our training webpage for more details. Come and give us a try, you won’t regret it! Our members take part in road, fell, cross country and ultra running as well as triathlon.